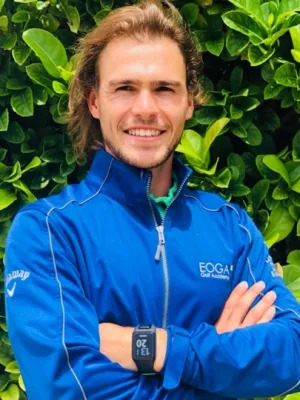 EOGA’s Managing Director, Etienne Olivier, founded EOGA in 2010 at the prestigious Steenberg Golf Estate, where he served his PGA of SA apprenticeship. Etienne has always had a great love for the game, since beginning his golfing career at the age of 12 in the Eastern Cape. He represented his school at the SA Schools National Tournament and went on to represent Eastern Province at the Inter-Provincial Tournaments in 2003/4. After matriculating Etienne decided to focus on a career in golf and he moved to Cape Town in 2006. This was the start of his journey at Steenberg Golf Club, as a Pro Shop Assistant, slowly branching out into coaching while occasionally assisting the Club Pro. Soon after completing his apprenticeship he realised his heartfelt passion for educating and enriching golfers with the required skill sets to improve their game and led him to pursue a full time career in coaching. 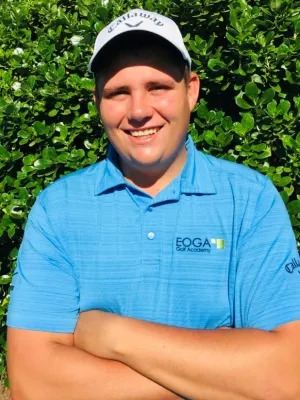 Murray is the Head Teaching Professional for the EOGA Golf Academy at Erinvale. He enjoys working with players of all abilities and relishes the challenge of helping each individual achieve their personal golfing goals. Murray attended The Golf School of Excellence (Johannesburg) from 2010 - 2012 where he graduated with his PGA Diploma. He became a fully qualified member of the PGA of South Africa in 2014 while working for the Golf School of Excellence as a full-time instructor. Murray joined SwingFit Golf Academy in December 2016 as the Head Teaching Professional where he assisted a wide variety of players, from absolute beginners to Sunshine Tour Professionals. 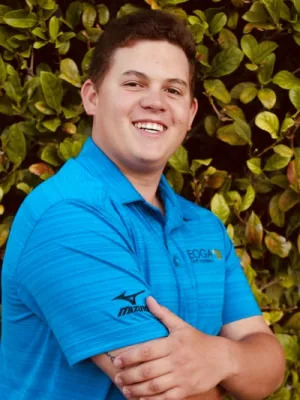 Murray is a Trackman level 2 certified instructor and has completed the Titleist Performance Institute level 1 and level 2 (Golf and Junior Coaching) courses. He has also obtained level 1 certifications with Boditrak and Swing Catalyst. 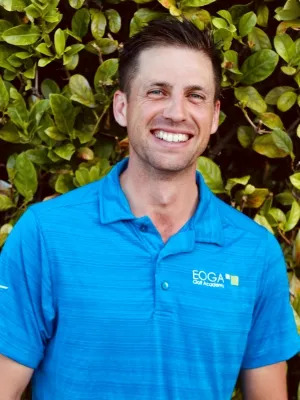 Alec Ahrens is the new coach from EOGA for all Westlake Golf Club members. 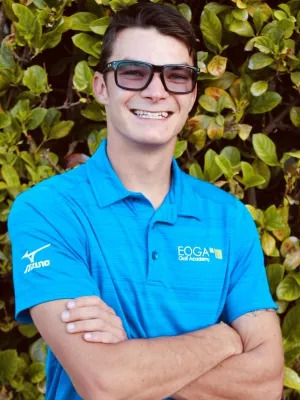 He is 20 years old and words cannot describe the excitement he feels about joining the EOGA team. He is a strong extrovert and loves being around people. For Alec, golf is not just a job, it is part of who he has become today and entirely part of his life. 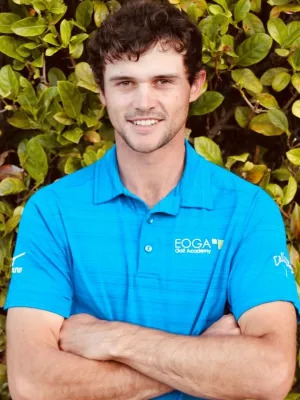 With his previous playing challenges and competitive tours, he will be able to carry over his knowledge and experience to the Westlake members. Alec will be available for all your golfing needs whether it is one-on-one lessons, group lessons or even just to talk about your round. Alec’s goal is to grow Junior golf in the Westlake region as they are the future stars. He also hopes to build a vibrant relationship with the members of Westlake. John Thomson loves coaching at Erinvale and enjoys displaying to his clients how rewarding this sport is. He previously worked as a coach, a sales assistant, and a club fitter at various clubs such as De Zalze and Somerset West. His passion for golf started rather late around the age of 17. With practice and persistence, he worked his handicap down from a 16 to a 3 within 2 years. He then realised that golf is more than just a passion and decided to pursue it as a career. John is particularly excited about driving the junior golf academy and wants to focus on the schools in the area. Matt Loves working with people – in particular, juniors and children with special needs. He understands their need for consistent change of drills and exercise to keep them focused and retain interest. A natural sportsman, Matt excelled at both team and individual sports and achieved colours in cricket, athletics, hockey, rugby and won HG Bell Match Play Championships in 2013. 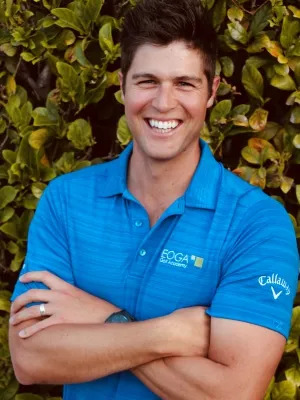 Matt completed his Sport Science degree and PGA qualification at TUKS Golf at the University of Pretoria and also studied sport psychology, course management with touring pros, gym instruction and nutrition. David is a natural sportsman who also plays tennis! He really enjoys the physical and mental strength needed to beat an opponent and this has resulted in an impressive list of Golfing Achievements. 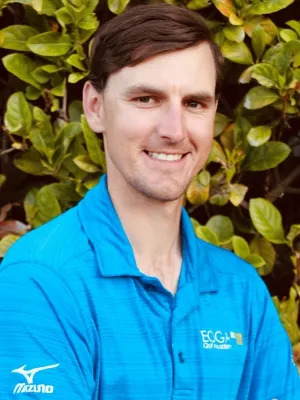 Using his vast experience and knowledge of many sports, David likes to establish if his clients play any other sports so that he can simplify the golf swing by relating it to a familiar movement in another sport. This approach assists the clients in understanding the swing better, resulting in faster improvement and less confusion with terminology. He believes in keeping the instruction simple and getting his clients to verbalise and provide feedback on the different drills worked on to ensure that the clients expectations are met. Chalton Steyn studied 3 years to become a fully qualified member of the PGA. He spent a year as an intern coach where he worked a lot with skills based training and short game focus. He is passionate about every aspect of the short game and plans to specialise in short game coaching. Chalton wants to see his clients reach their full potential and become the best golfer they can be. His coaching philosophy is to care about every clients put in his path and will go the extra mile to ensure they receive a world class service. André did his 3 year PGA diploma through Swingfit Golf Academy and ETA. He is a fitness fanatic, passionate about golf and loves building new relationships. He played competitive golf on amateur circuit for 4 years before going into the coaching industry. André grew up in the area and is very familiar with Arabella. He can’t believe that his job will be to serve the clients of Arabella and feels extremely privileged. Ryan has 13 years of experience as an instructor. He has experience in modern day training techniques, player motivation and a rich understanding of mental and physical health enhancement methods. He enjoys using various methods to transfer his knowledge in a simple way, whether you are 5 or 85. His passion for developing players of all ages brings him real happiness. Luke is our EOGA biokineticist. He studied Sport Science at the University of Stellenbosch before doing his Honours in biokinetics. 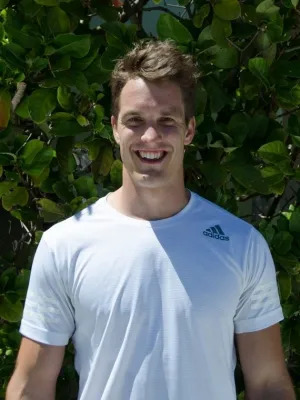 After working for 2 years in a private practice, he developed his passion for High Performance at the Kearsney College High Performance Centre which he ran, training various sporting squads while focusing on strength and conditioning as well as injury rehabilitation. 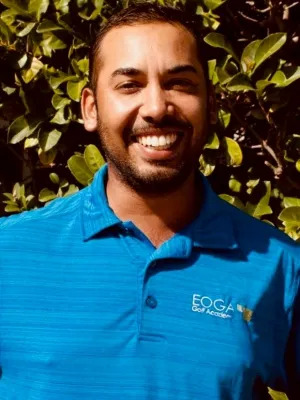 Luke is based in Steenberg working with EOGA, as well as at Steenberg office park and we are very fortunate to have him as part of the EOGA team.